IF YOU DREAM of owning a SUV and wanna play hard and dirty, try out the latest Mercedes-Benz X Class. Take it anywhere, from on-and-off road it’s still a head-turner. My village in NW- Ganalaagte can attest to that as cows, donkeys and squirrels formed an entourage in salutations, as it zoomed into the quite place it is synonymous for. As for the masses they cajoled and lipsmacked as much as they could. Some, going as far asking to offer small-nyana (small fee) to take a selfie. You could imagine what happened as the dawn broke- your guess is just good as mine! 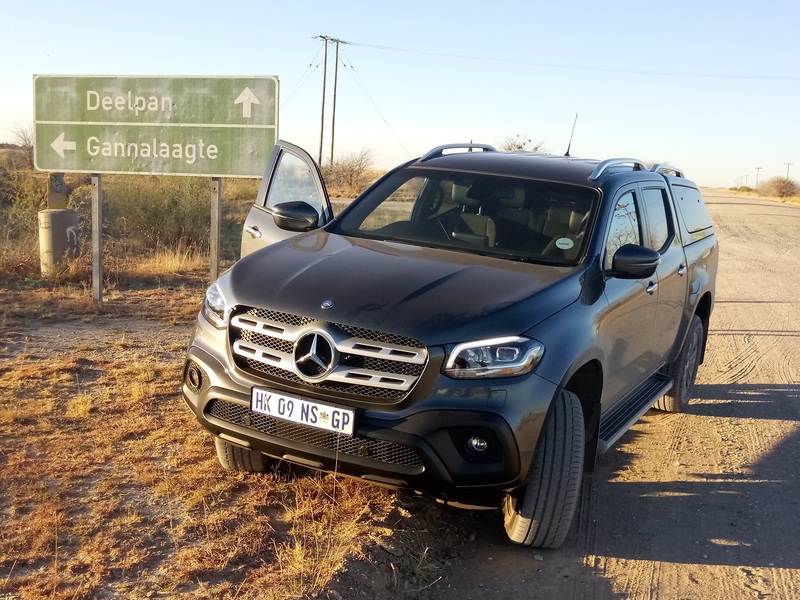 “This is the first bakkie to convincingly combine the versatility of a double-cab with the luxury of a passenger car,” once commented Nadia Trimmel, Head of Mercedes-Benz Vans Southern Africa at the launch in George this year. We tested the seven-speed automatic version and took off, as and when required. Key to this German bakkie’s ride comfort are coil springs which are used both at the front and rear. The front wheels are guided by double triangle wishbones, while at the back is a multi-link solid axle well-suited to transporting heavy loads. It comes with twin-turbo variant in the X250d that’s good for 140kW and 450Nm. 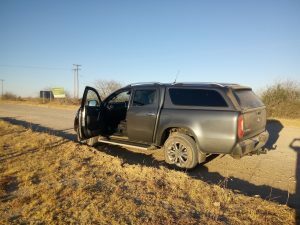 Interior, perfectly suited in suede and leather, is one of the astounding features that makes this xctingly bakkie a popular brand in SA. The X 250 d is offered in rear-wheel drive or with engageable 4MATIC all-wheel drive, with low range. The 4×4 versions are well suited to offroading with their elevated 222mm ground clearance and 600mm wading depth, along with useful approach (30.1 degrees) and departure (25.9 degrees) angles. The Progressive is fitted with alloy wheels, a 21.3cm infotainment screen, cruise control, eight-speaker audio system, leather steering wheel and plenty of chrome trimmings. It comes with dual-zone climate control, electrically adjustable front seats, LED lights and Keyless Go. All versions, manual included come with seven airbags. Active Brake Assist and Lane Keeping Assist are optionally available driver assistance systems to increase safety and comfort. Plenty of options and accessories are available, including surround view cameras, electric sliding back windows, parking sensors, canopies, roll bars, side steps, hard and soft bed covers, tow bars, diff locks and wheel designs up to 19”. All models are sold with a six-year/100 000km full maintenance plan. Locals had the pleasure to admire and play with the X Class in Ganalaagte, NW. Can’t wait for the manual version and see what difference will it be from auto?